Enhance your living space with Crosley's impeccably-crafted low profile TV stand. 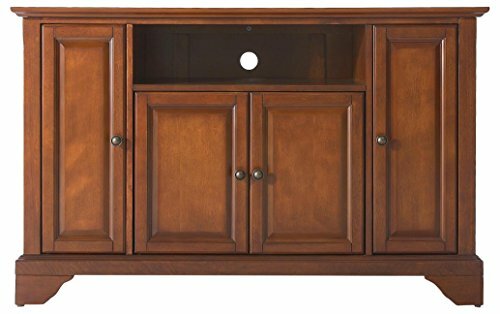 This signature cabinet accommodates most 60-inch flat panel TVs and is handsomely proportioned featuring character-rich details sure to impress. The hand rubbed, multi-step Classic Cherry finish with antique brass finish hardware is perfect for blending with the family of furniture that is already part of your home. Raised panel doors strategically conceal stacks of CD/DVDs and various media paraphernalia. Tempered beveled glass doors not only add a touch of class; they protect those valued electronic components, while allowing for complete use of remote controls. Adjustable shelving offers an abundance of versatility to effortlessly organize by design, while cord management tames the unsightly mess of tangled wires. Style, function and quality make this cabinet a wise choice for your home furnishings needs. Enhance your living space with Crosley's impeccably-crafted Corner TV stand. 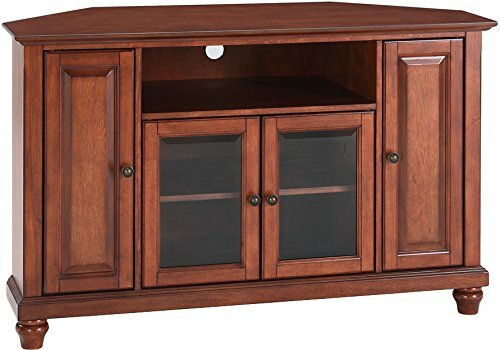 This signature cabinet accommodates most 52-inch flat panel TVs and is handsomely proportioned featuring character-rich details sure to impress. The hand rubbed, multi-step Classic Cherry finish with antique brass finish hardware is perfect for blending with the family of furniture that is already part of your home. Raised panel doors strategically conceal stacks of CD/DVDs and various media paraphernalia. Tempered beveled glass doors not only add a touch of class; they protect those valued electronic components, while allowing for complete use of remote controls. The open storage area generously houses media players and the like. Adjustable shelving offers an abundance of versatility to effortlessly organize by design, while cord management tames the unsightly mess of tangled wires. Style, function and quality make this cabinet a wise choice for your home furnishings needs. Constructed of solid hardwood and wood veneers, this cabinet is designed for longevity. The rich, hand rubbed, multi-step Classic Cherry finish is perfect for blending with the family of furniture that is already part of your home. Antique Brass finish hardware adds a touch of style to this already beautiful cabinet. There is plenty of storage space and wire management behind the beautiful raised panel doors to hide electronic components, gaming consoles, DVDs and other items that you would prefer to be out of sight. 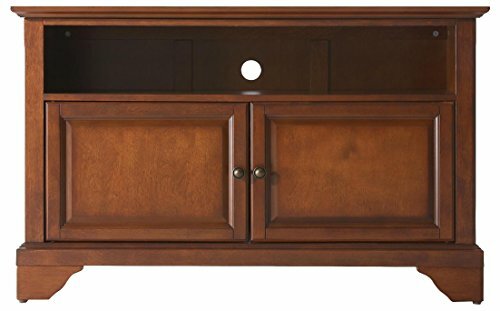 The 47 3/4-inch width means that this cabinet is perfect for most 50-inch TV's. Style, function and quality make this cabinet a wise choice for your home furnishings needs and is sure to be a part of your home for years to come. Constructed of solid hardwood and wood veneers, this cabinet is designed for longevity. 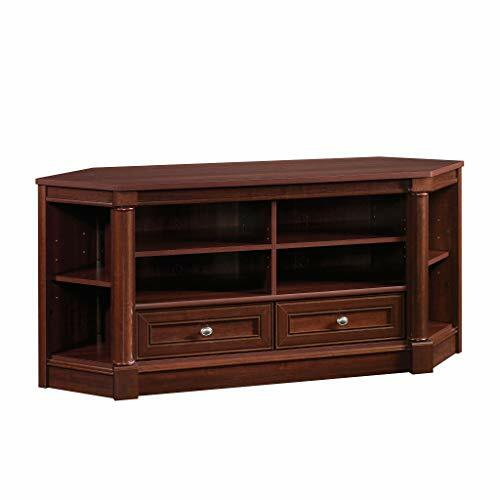 The rich, hand rubbed, multi-step Classic Cherry finish is perfect for blending with the family of furniture that is already part of your home. Antique Brass finish hardware adds a touch of style to this already beautiful cabinet. There is plenty of storage space and wire management behind the beautiful raised panel doors to hide electronic components, gaming consoles, DVDs and other items that you would prefer to be out of sight. The 42-inch width means that this cabinet is perfect for most 44-inch TV's. Style, function and quality make this cabinet a wise choice for your home furnishings needs and is sure to be a part of your home for years to come. The traditional Sheridan collection Stands out with book-matched veneer panels, chamfered corners with fluted detailing and ample base moldings, topped off with a rich burnished cherry finish. Complete the look with any of our matching pieces. 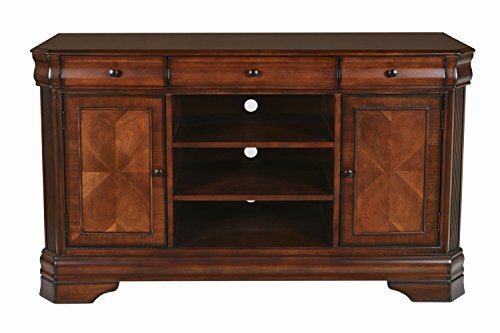 Optimize the space in your living room or Entertainment area with this corner Entertainment credenza from the Palladian collection. Grab the popcorn and cozy up on the couch, this space-saving stand accommodates up to a 60" TV making it perfect for all night movie marathons or binge watching that new must-watch show. It features two adjustable shelves that can be moved and conformed to create an open shelving space to hold all your video and Gaming equipment. It also features an adjustable corner display shelf on each side so you can showcase all your knick-knacks and pictures of the family. The two easy gliding drawers open and close on smooth metal runners for easy access storage of books, movies, and board games. The enclosed back panel includes cord access to keep your wires neatly organized and out of the way. Finished in a classic Select Cherry and detailed with silver hardware, this beautiful TV stand is just want your home needs. 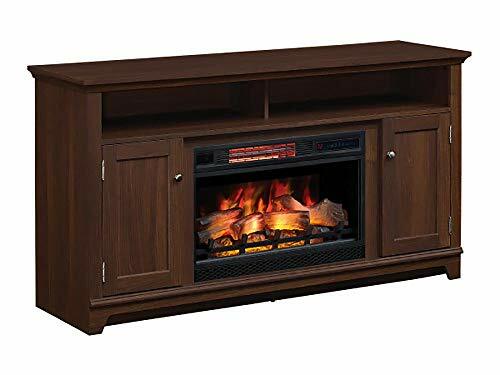 Wood TV Stand Classic Home Entertainment Media Center Flat Screen TV Table Cherry Wooden Storage Unit TV Cabinet Durable Armoire Console Living Room Furniture 47"
The Panel TV Stand for TVs up to 47" will make a perfect addition to your living room, den or TV room. Keep all your components safe, dust free and organized. Its two adjustable shelves allow ample storage space for all of your components, games, DVDs and remotes. The back panel has pre-drilled holes for easy cord management. Fits most TVs up to 47" wide and up to 95 lbs .Milled cherry finish. Assembly required. Televisions sold separately! This item cannot be shipped to California! 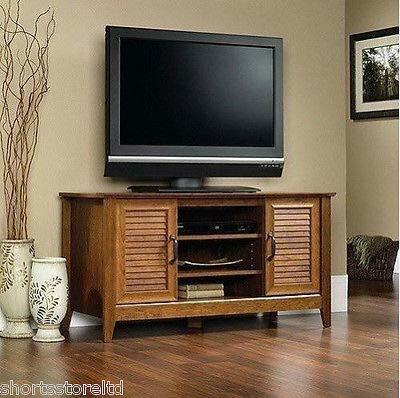 Size: 47\"For TVs 41\" to 50\"For TVs 47"
Want more Classic Cherry Tv Stand similar ideas? Try to explore these searches: 01 Ceiling Mount Plate, Painting Foam Board, and Loreal Lasting Curls.